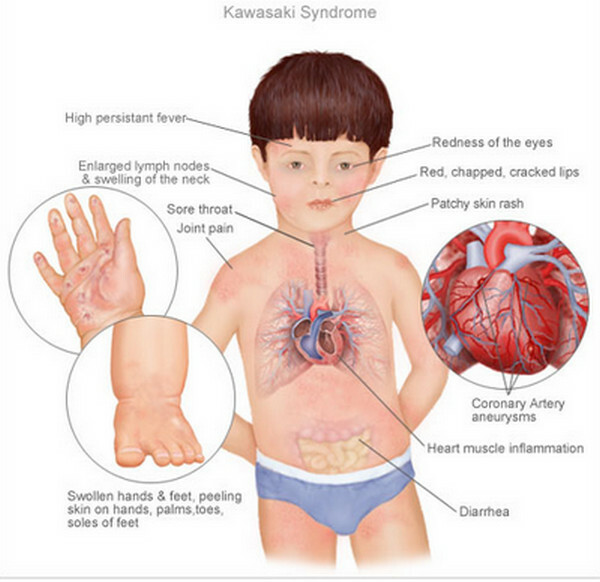 Kawasaki disease is a type of medium vessel vasculitis that has an unknown etiology. Vasculitis, by definition, refers to a type of condition that destroys blood vessels by inflammatory processes. In Kawasaki disease this inflammation of vessels can lead to a variety of clinical symptoms, but most seriously can lead to aneurysms in the cardiac arteries that can be fatal. *All of the clinical features may not be present at once! Echo can detect cardiac artery aneurysms as well (and should be done in all of those with suspected Kawasaki disease). This is a diagnosis of exclusion as well. 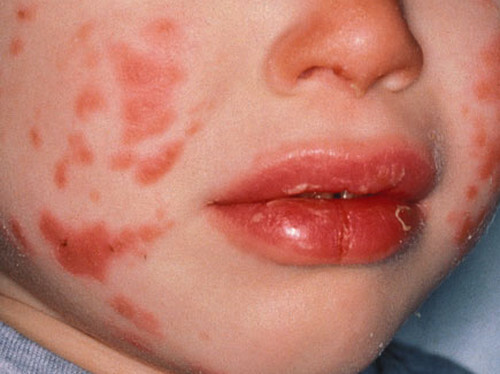 Viral infections (such as EBV) and bacterial infections (such as scarlet fever) can be ruled out with pathogen specific tests/serologies (given that they may cause similar presentations). Aspirin is used as initial therapy for this condition. This condition is usually self limited, however it is important that it is diagnosed early on and treatment is begun. 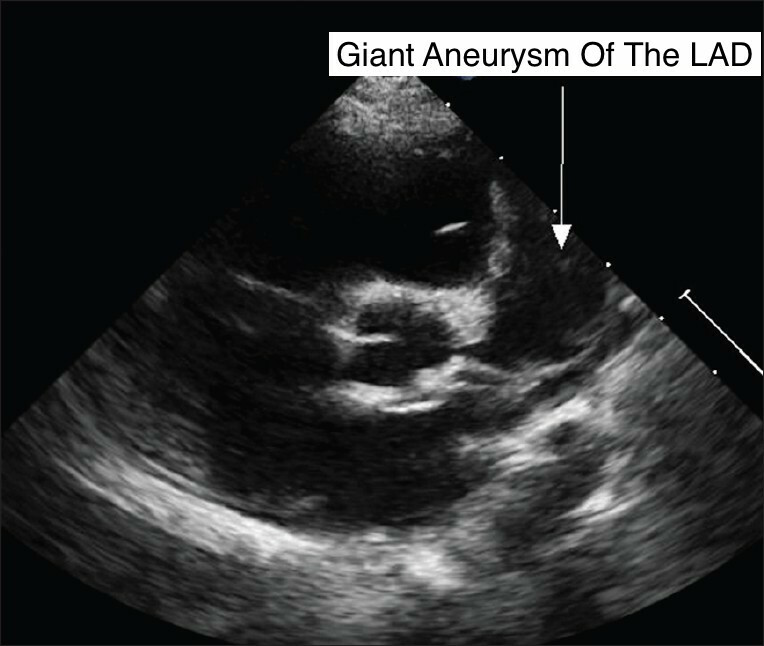 Coronary artery aneurysms may develop in patients with Kawasaki disease. This is a serous complication because thrombosis (causing MI) or rupture can cause death.